Laser hair removal effectively addressed the need to remove unwanted hair by directing the laser beam to the area where the unwanted hair is located. Laser hair removal is considered is a cosmetic procedure that aims to remove hair from the skin – resulting in skin that looks smoother, clearer, and in a way – cleaner. The removal of unwanted hair can be done by shaving, waxing, or tweezing; however, these options are often inconvenient to do, and do not offer long-lasting results for the patient. 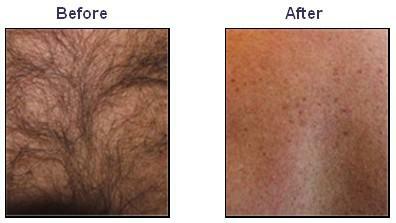 Laser hair removal provides a convenient way to remove unwanted hair, in a way that guarantees longer-lasting results. Laser hair removal offers a gentle, non-invasive, technique to reduce the growth of unwanted hair in most parts of the body. The patient will experience very minimal to zero discomfort throughout the entire laser hair removal procedure. There is no need for a down time after a laser hair removal treatment, so the patient can go back to normal activities right after the procedure is finished. Laser hair removal is a much more effective and convenient way to remove unwanted hair – compared to shaving, bleaching, tweezing, and electrolysis. Laser hair removal can make the patient’s complexion and skin colour more uniform. Laser hair removal effectively treats larger areas because each laser beam efficiently disables more than one hair at a time. Your medical history will be obtained and thoroughly scrutinised prior to the laser hair removal treatment, to determine suitability for the procedure; this includes getting details about previous medical conditions, medications that are currently being taken, allergies or other reactions to prior laser treatments (if any). All of the steps that will be done for the complete laser hair removal procedure will be discussed in detail, so that goals and expectations are set in a clear manner. The doctor will also outline what can or cannot be done by the laser hair removal. The costs involved for the entire procedure will also be discussed, to help you prepare financially for the hair removal treatment. Photos may be taken even before the laser hair removal treatment starts, so that the progress of removing unwanted hair can be monitored – just like viewing a gallery of “before and after” images. The images will also help identify which specific areas will need to be treated with the laser hair removal, and which areas need to be given more attention with regards to the presence of unwanted hair. Avoid plucking, electrolysis, or waxing of the hair – The doctor will recommend that you avoid plucking, tweezing, waxing, or hair electrolysis as these methods can interfere with the laser hair removal treatment that needs to be done. Temporary hair removal or reduction can be done by shaving instead – since this method does not damage or interfere with the hair shaft and hair follicle. Avoid over exposure to the sun – Too much exposure to the sun and having a tan right before a laser hair removal procedure can lead to complications like skin discolouration or the formation of blisters. It is best to wait for a tan (whether it is from sun exposure, or the use of tanning beds) to fade before undergoing a laser hair removal procedure. Soprano laser hair removal is used by Woodbury Dental and Laser Clinic specialists in Kent to provide painless hair removal for patients. The Soprano Laser uses a revolutionary laser technology that eliminates all negative sensations, through the use of a system that cools the skin on contact. The cooling sensation not only eliminates the pain and discomfort – it also makes the hair removal system much more effective. The pain or discomfort that is likened to a stinging sensation when a person undergoes laser hair removal is a thing of the past with the Soprano Laser. 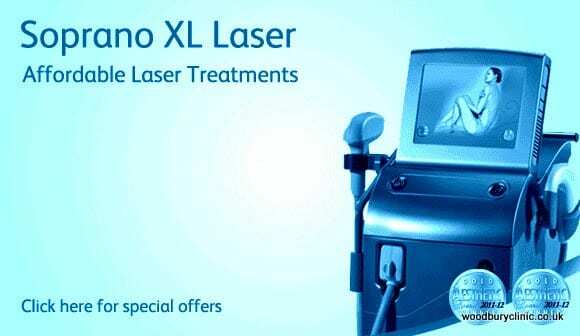 Treatments times can also be significantly reduced with the use of the Soprano Laser, since larger areas are treated more efficiently with each laser hair removal session.